I’m so excited to finally be sharing this post with all of you! It’s been a long time in the making as I was fortunate to have been a part of this project since before the ground was even broken. 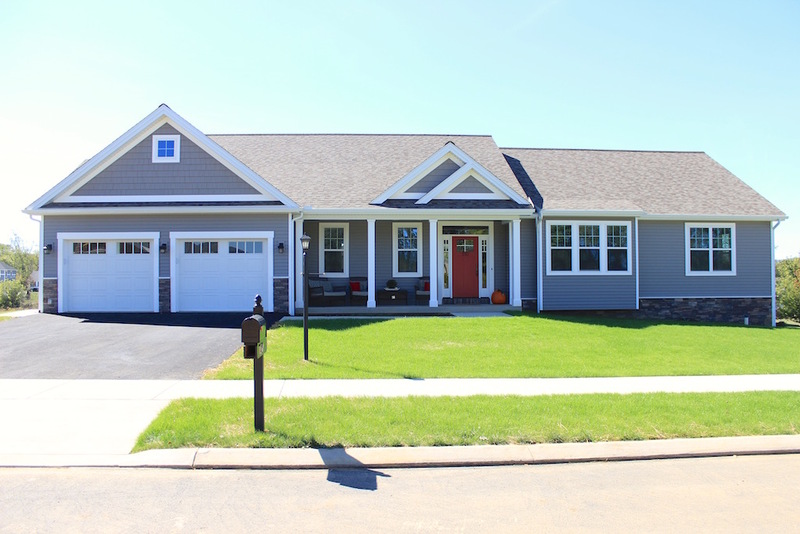 Our friends, the Jones’, are the sweetest family of six and see this home as such a blessing for their family. It was an honor to have been a part of it. Some of you may remember when my good friend twisted my arm and hired me to help design her kitchen renovation last year. That project has since opened doors and started a new journey for me that I could have only dreamed of. When I was a child, my answer to ‘what do you want to be when you grow up’ was always an Interior Designer. Well, life had it’s ways of taking me on a different pathway and yet somehow it’s circling back around in the most surprising of ways. 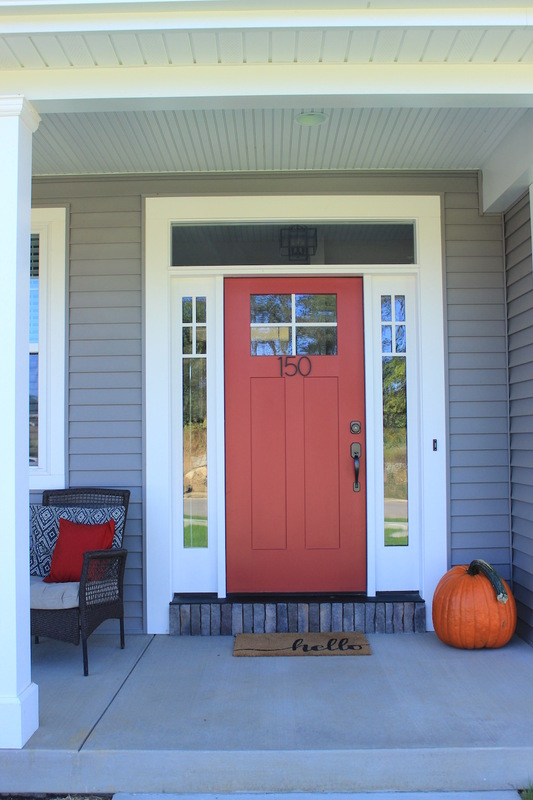 Over the past year, I’ve had my hands on a number of projects; from brand new builds to helping clients select paint colors for their home. I don’t know exactly how I would coin myself just yet, but what I’m drawn to the most is working with colors and pulling together different finishes and textiles (which is similar to what I enjoy about fashion as well). I find myself speechless as I see projects come together and feel so extremely blessed that people appreciate my help on something I have always dreamed of doing! I hope you enjoy getting a look into the Jones’ home because I have more projects in the works that I hope to be sharing in the future as well. Initial meetings with clients always come with a bit of anxiety on my part. I want to make sure I’m able to get a real sense of their style and get a good feel for what they’re really looking for, despite what they think they are looking for. Once I’m able to tackle that part and get inside their thought process, the ideas start flowing and thoughts are bounced back and forth until something sticks. The other complication I’m discovering, is working with husband and wife couples ;) I find it’s part of my role to achieve a balance between what each is looking to get out out of the project (ie their home). Here, we walked the line of mixing her ‘give me ALL the white‘ and his ‘I’ll take all the dark, wood finishes, please‘. No pressure, right? Well, both ended up giving and taking until the perfect balance was found. The one thing the Jones’ did know, was that they wanted to go with a grey home. When I started going through roof and stone samples I went in a warmer direction with the colors so that the home wouldn’t end up feeling too stark or ‘cold’. 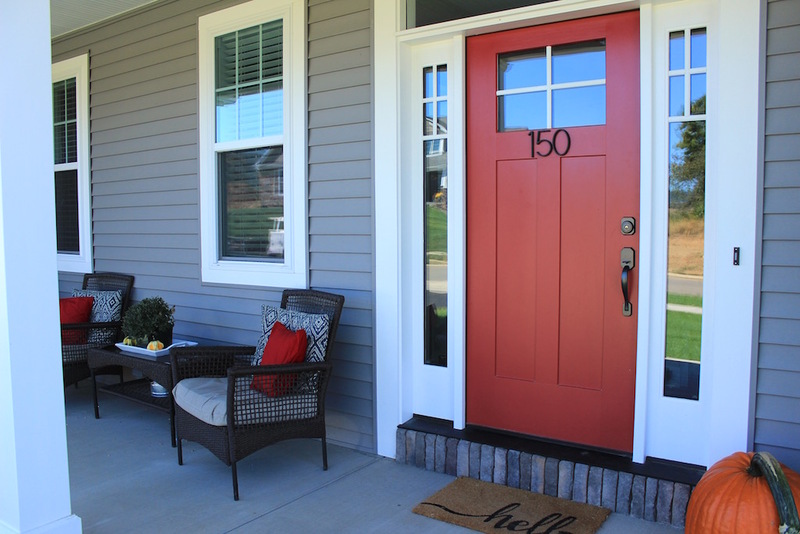 Red was all I could think of when it came to the color of their front door and I think it’s the perfect pop for their home. We used SW Antique Red here. 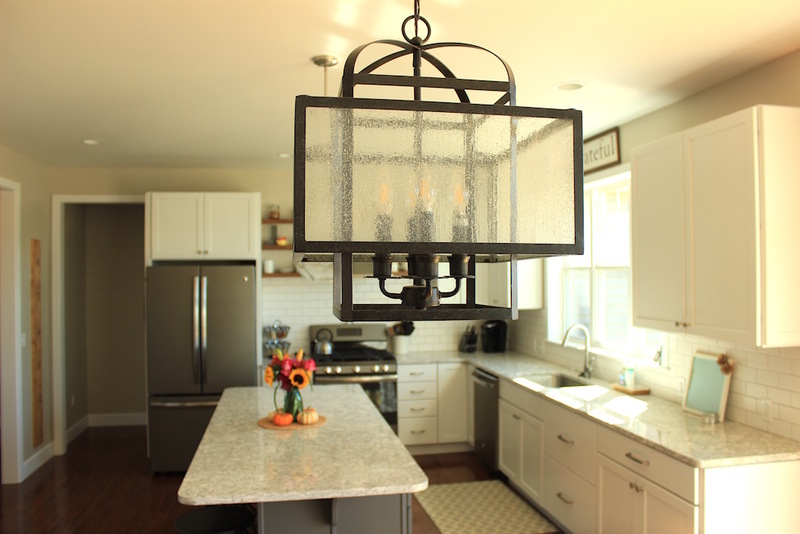 We went with coordinating light fixtures from Hite Co. in the entryway and dining area and they were the perfect mix of masculine and feminine for this couple. 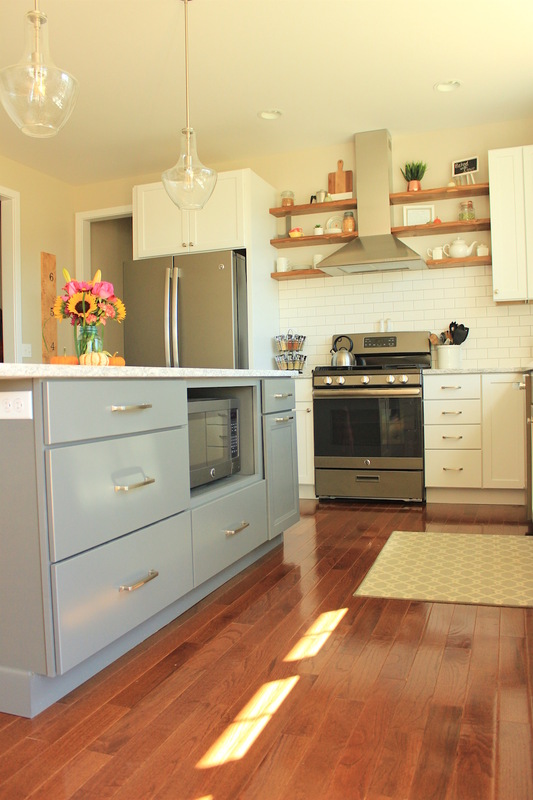 As kitchens can do, this one kind of steals the show in terms of a house reveal. 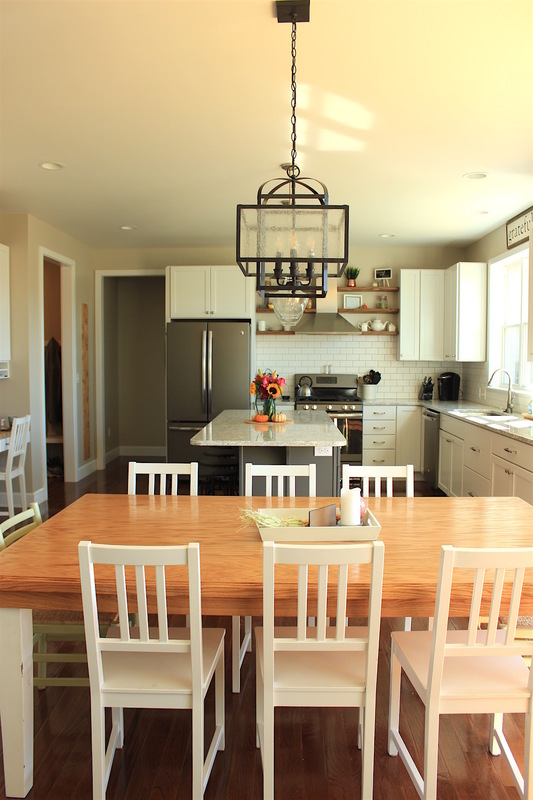 It’s a white kitchen lovers dream! The white was a given, but pulling in the grey island really gave the room some character. 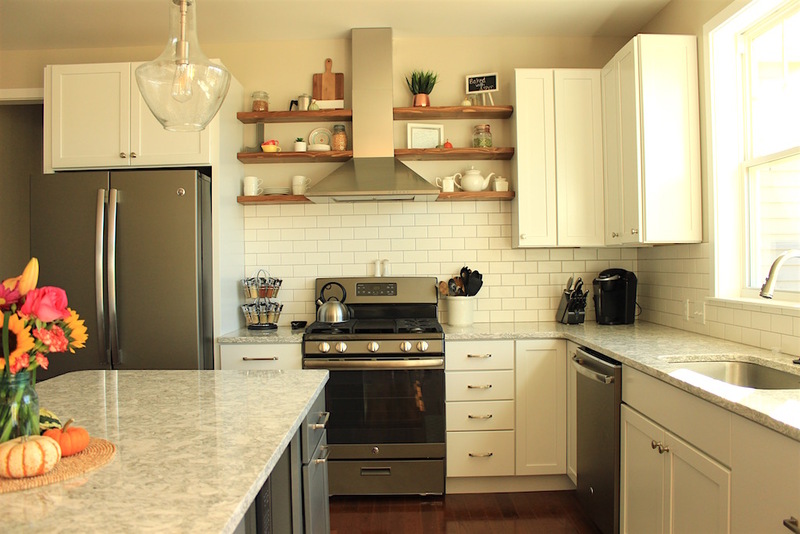 Classic subway tile but with a grey grout added a little more of a punch. 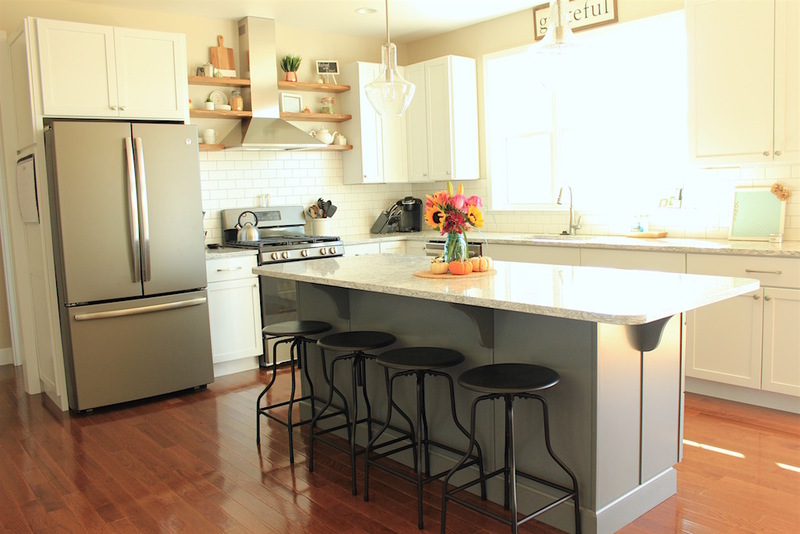 The quartz counters that we all fell in love with are Berwyn by Cambria. The colors are soft and earthy, pull in the taupes we were going with and it has the prettiest soft shimmer to it in person. 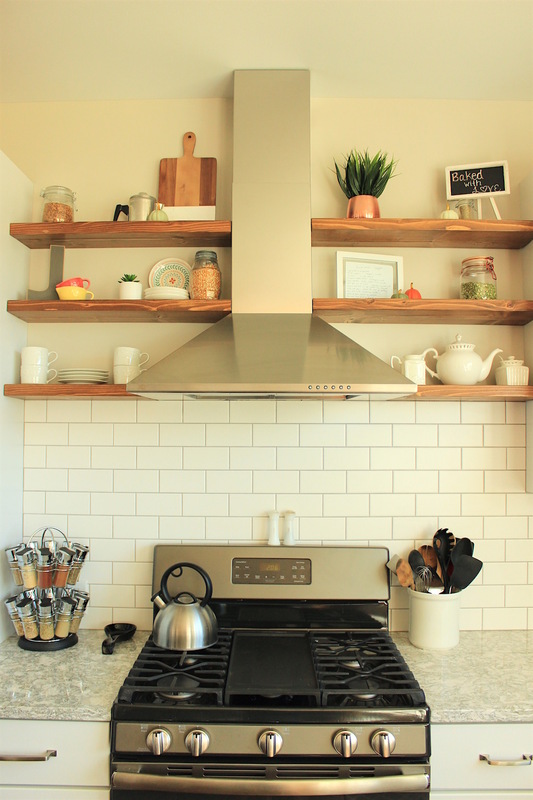 …that beautiful open shelving!! I know this feature isn’t for everyone, but for those that can manage keeping a few shelves clean and tidy, they can be stunning in a kitchen, or any other room for that matter! 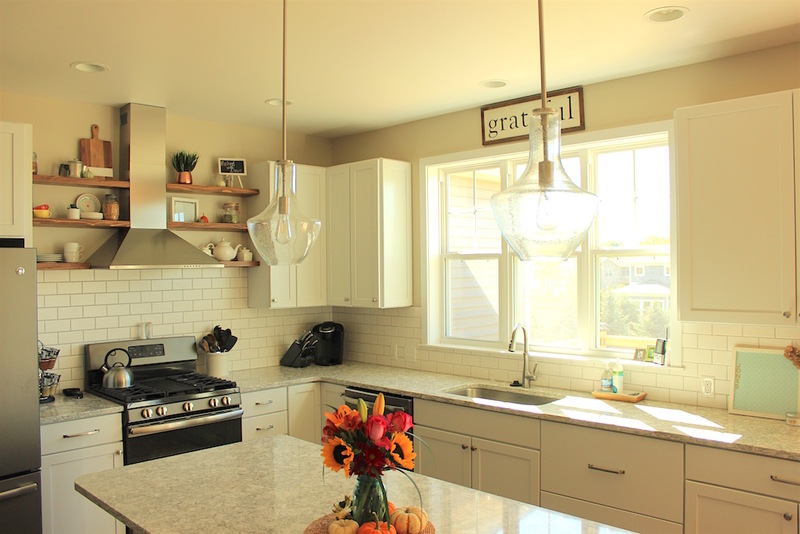 You wouldn’t believe the amount of natural light this kitchen receives, showing off every last detail. 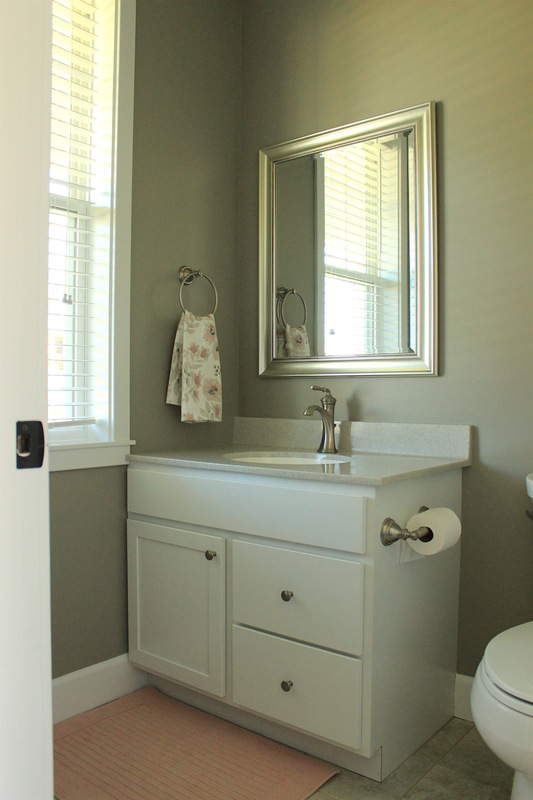 The bulk of the home was painted in SW Accessible Beige, my favorite greige and the color I have in my own home as well. In the hall bath however, we went a few shades darker and used SW Fawn Brindle. I love the contrast with the white vanity. The mirror I found at Target…so beautiful and such a steal! 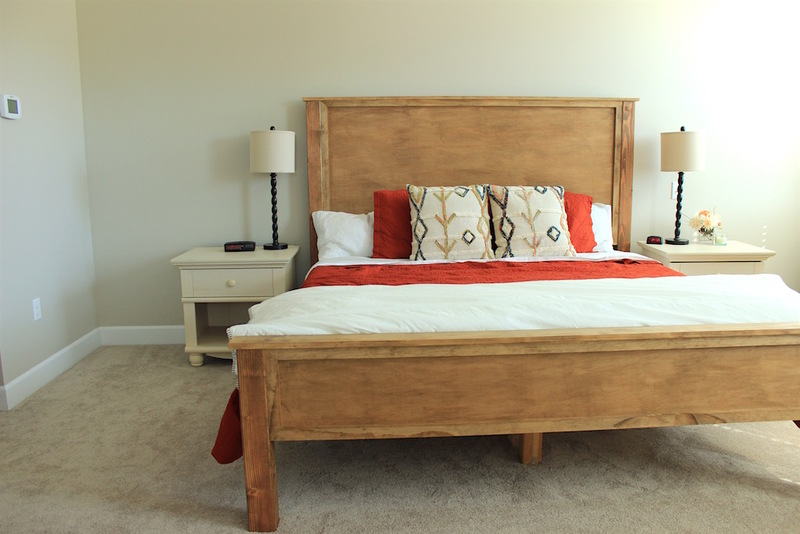 If only I were a professional photographer and I could capture the magnitude of this bed that Mr. Jones made by hand! It seriously looks like it came right out of West Elm or Restoration Hardware for thousands of dollars, doesn’t it?! The master bath is the perfect retreat for them. 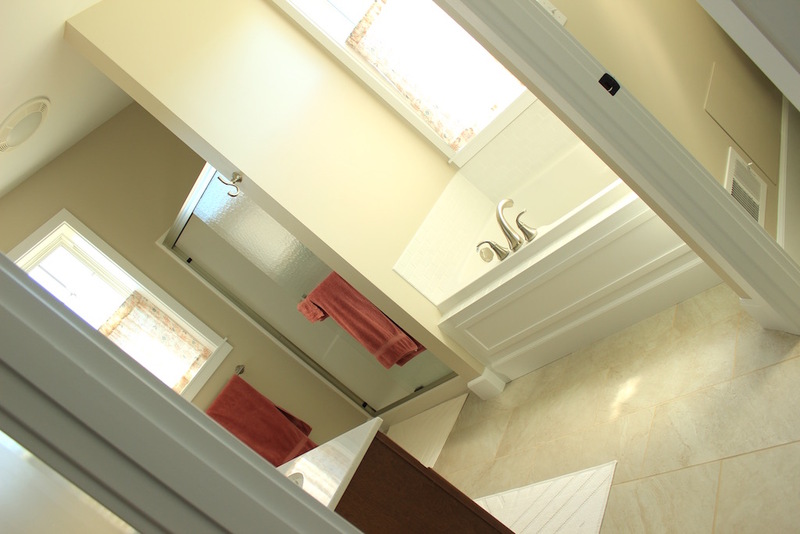 A soaking tub with a stunning picture window that lets in plenty of natural light. These mirrors also came from Target and I think they look so sophisticated for a master bathroom. The fireplace was a place of ‘do we do it or not‘ and I’m pretty sure they are both thrilled that they did. 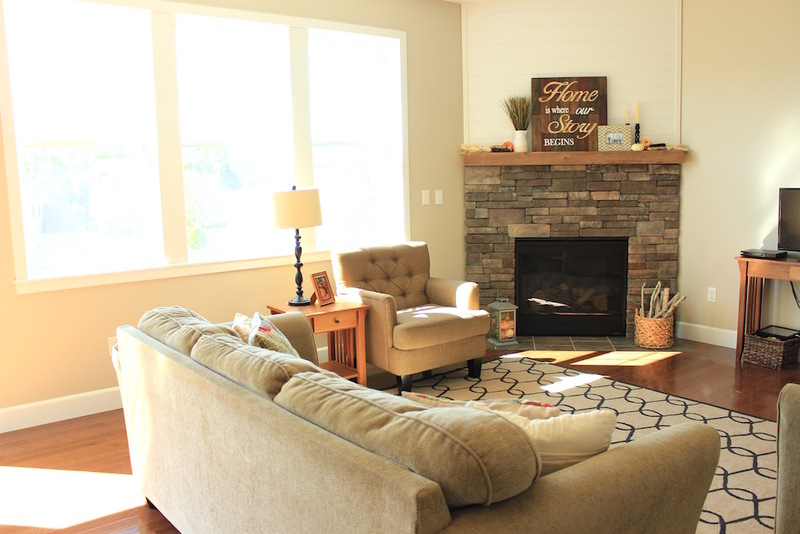 It has such a great visual presence in the living room (that shares the same open space with the kitchen). 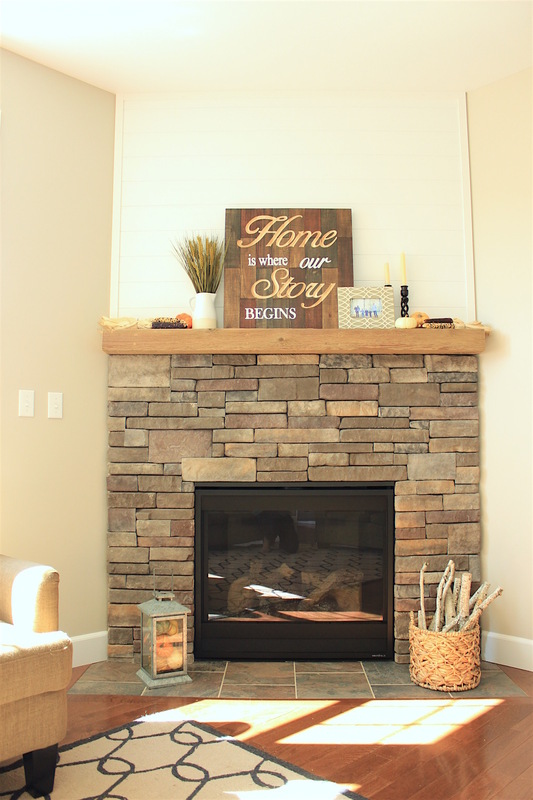 The shiplap above was a perfect finishing touch. I helped select new sofa’s for the room that happen to be taking their sweet time to arrive. I just may have to update this post once they get them in there! But for the time being, their current furniture fits the bill perfectly. 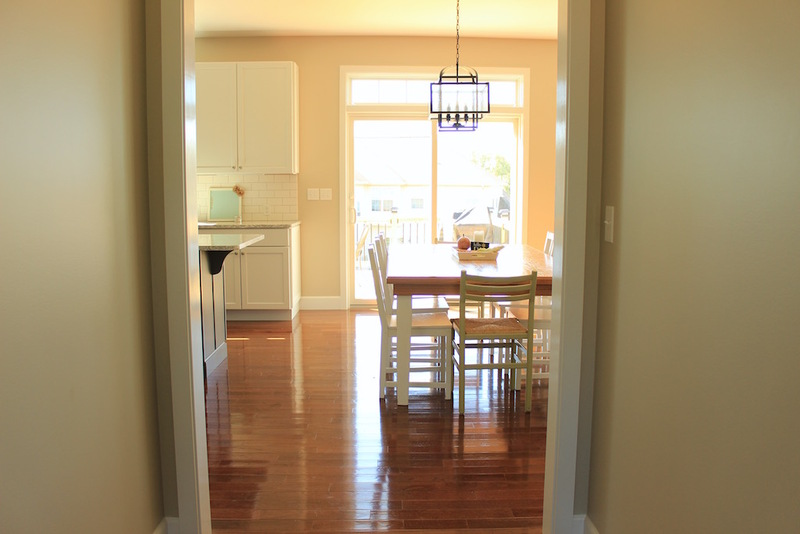 Here’s a view standing in the living room looking towards the kitchen. 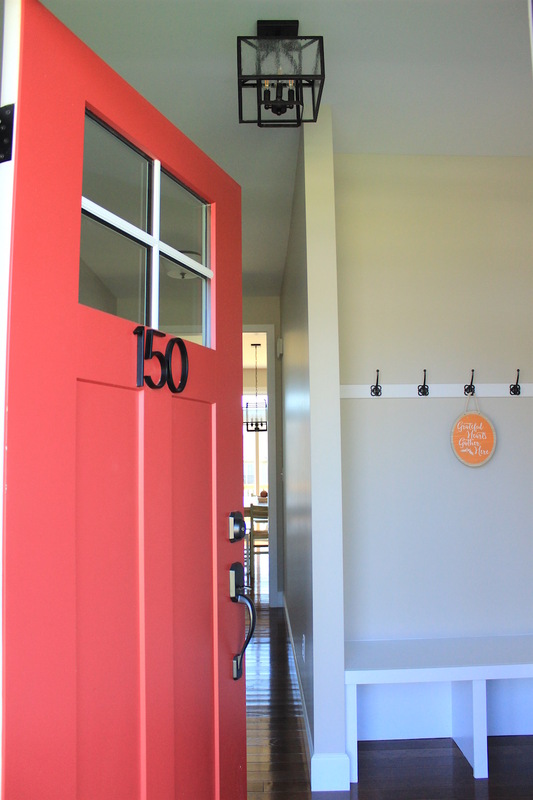 One last bit of eye candy…the mudroom! 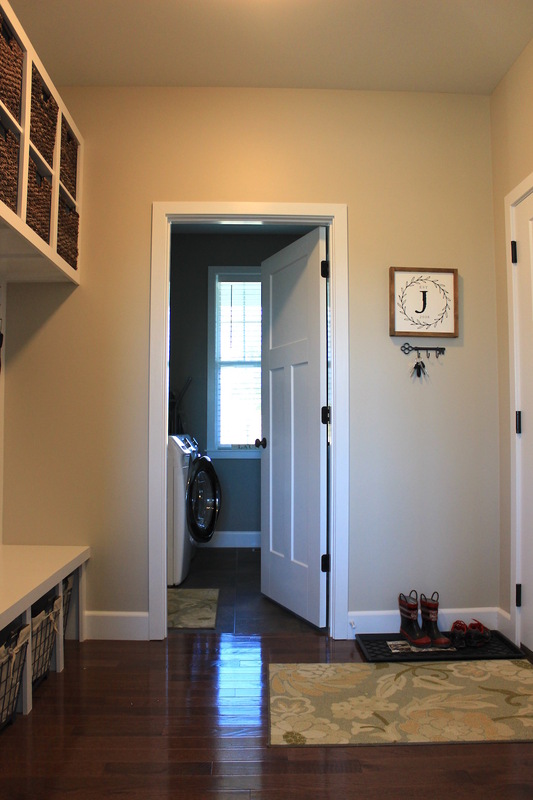 If you have children, mudrooms can make a world of difference in a home! 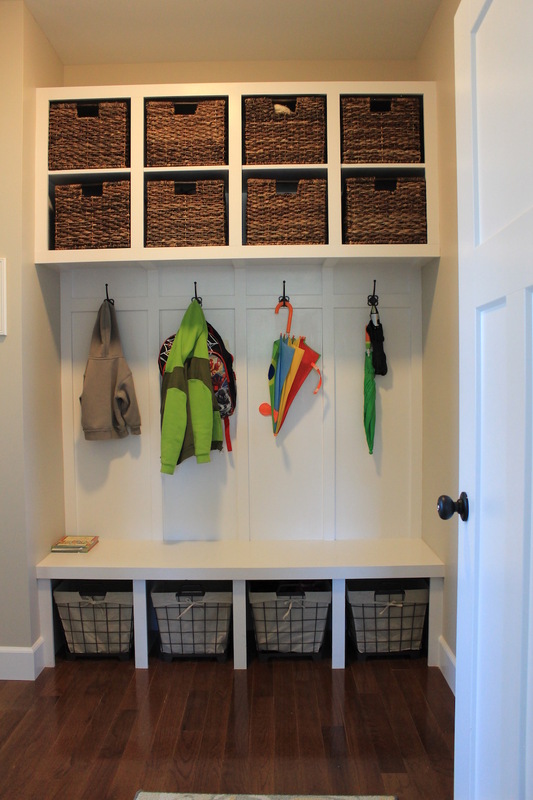 Especially when there are four little ones running around with shoes and coats and water bottles and snacks and backpacks and rain boots and umbrellas…you get the point ;) This mudroom does not disappoint! A hook for everyone and an abundant amount of baskets for everything previously mentioned should have this family feeling more than organized. 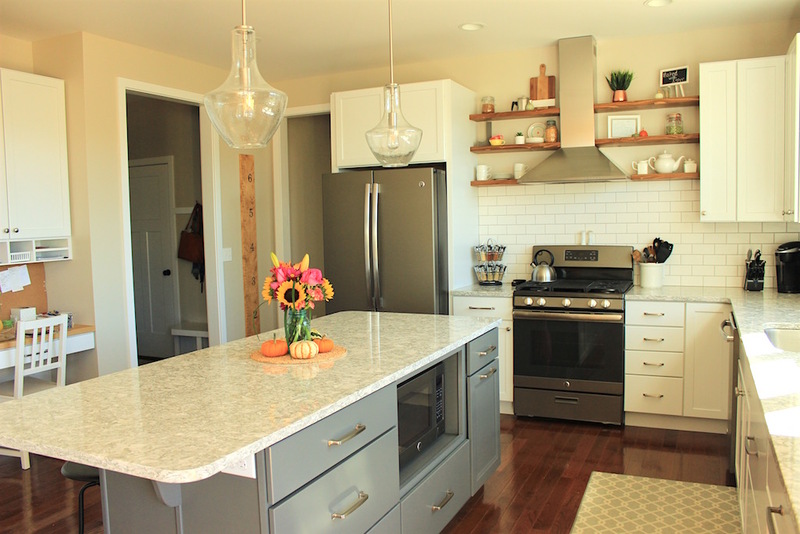 It is just picture perfect and so homey yet super functional. Joanna Gaines would be so proud as well. Absolutey beautiful! Such a fresh feel! 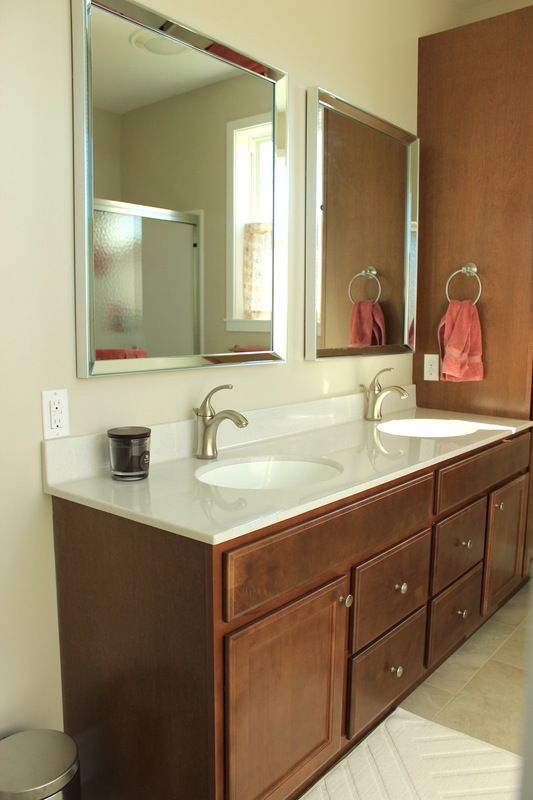 Love all the colors and fixtures!